Where craft meets art. While many makers may choose just the former, fiber artist Aly Barohn aims to evoke personal nostalgic through her craft form, embroidery. 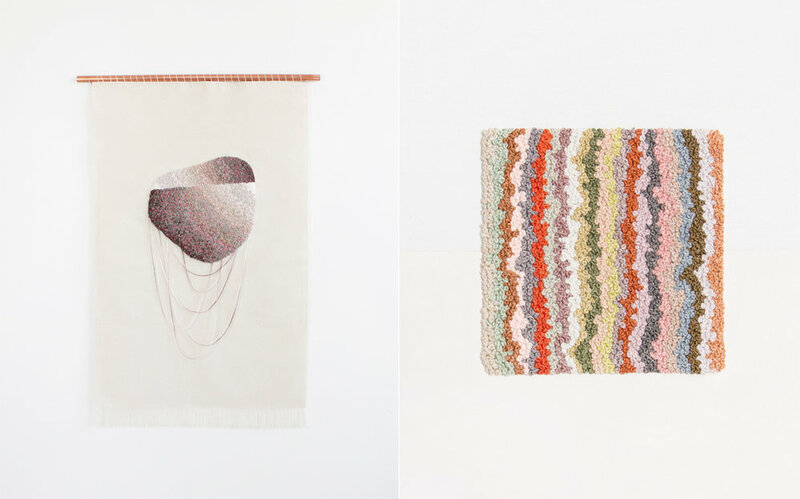 Her intricate embroidery works made with hand-dyed fibers features mostly dimensional and textural shapes of ombre tones, all of which takes inspiration from her personal exploration and escape in the wilderness. With a background in Fine Art and Fashion Design, Aly re-discovered her love for embroidery in her free time while on a winter retreat in rural Arkansas. 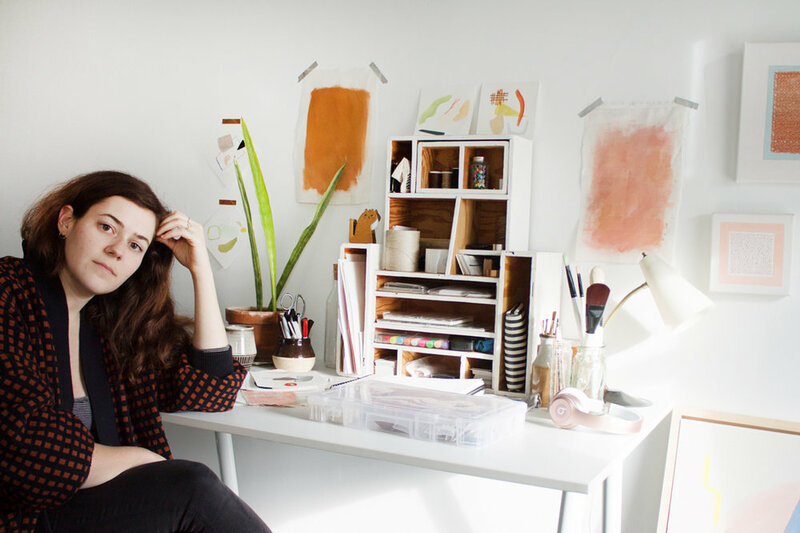 Now, she juggles between creating her embroidered artworks and running a successful clothing business, Vaux Vintage. We had a chat with her on her favourite art piece, the concept behind it and more. 1. Tell us more about your background and what sparked your interest in embroidery? When I was in Fashion Design school, I very briefly learned about embroidery there. I was hired to be a teacher assistant for a Fabric Manipulation class, in which embroidery was a week-long study in the class. I had never even taken embroidery class before they hired me, so I learned along with the students. I think that was the first spark that ignited my interest in fiber arts. It wasn't until four years later that I gained more interest in the craft and began playing around with it in my spare time. When I moved from NYC to a cabin in the woods of Arkansas for a winter retreat, out of boredom, I started collecting dried leaves and embroidered on them. That's how I regained my skills after such a long time. I create my work in series. I start with a concept and color palette. Then I draw out many sketches- usually just shapes. And I select which ones call out to me and relate to the concept. Through the whole creative process, I try to let my instincts lead the way. 4. Pick one of your favourite designs and tell us more about it! One of my favorite pieces is Self-Portrait - Hands & Hair. It represents the colors of my hands in the form of my hair. It was for a gallery show my fiancé and I had together called The Morphology of Us. The concept behind it was how we, as romantic partners, see each other as well as ourselves and taking a closer look into a variety of our physical characteristics. I had never done or thought about doing self-portraiture before, hence I was really connected to it. I liked the idea of taking expressing self-portraiture in an abstract form, adding a sense of humor to it. I'm in awe of all of the experiences I've had since starting my artwork five years ago. I can't imagine what will happen in another five years! I feel that I'm constantly learning and figuring out who I am, what do I have to say, and how do I want to say it. Every series is derived from a new idea and concept. I hope that I will never stop coming up with them. And my wish is for more people to continue to enjoy my work in whatever way it speaks to them.